After a lot of hard work and late nights we’ve finally completed the Hunks in Trunks “Quick Quote” Booking Application. As of the 4th August, 2014, you’ll now be able to create a booking, get a price and confirm and pay online in a matter of seconds. 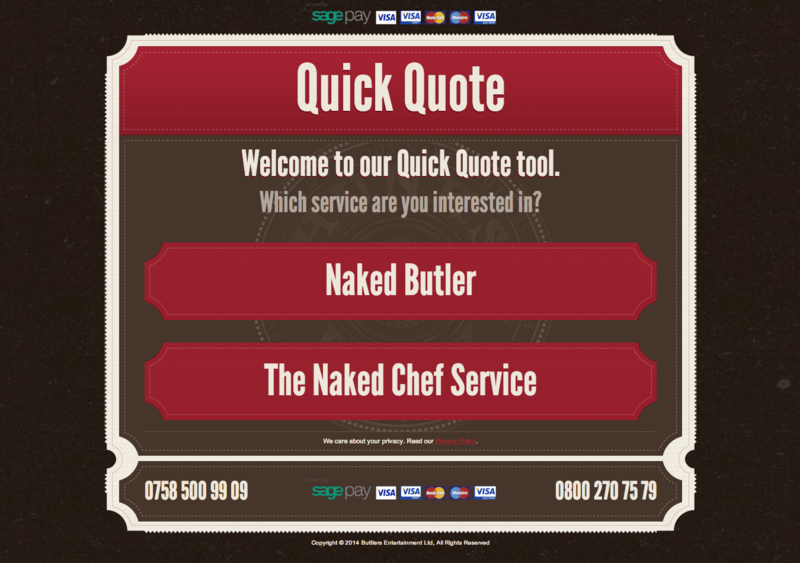 The “Quick Quote” Booking Application is designed to make the whole process of planning your event with us as simple and easy as possible. Through it we give you instant access to our prices, packages and availability across the UK so you can plan what you want, when you want it without any delay. Payment is simple and easy and you can choose to put down a small deposit to secure your booking or just pay for it in one go. We even provide you with current special offers that relate to your booking so you can upgrade and make savings instantly. Once you have your quote you can choose to pay a small deposit to secure the booking. However if you’re not quite ready then don’t worry. You’ll be sent an email confirming all the details of your quote with a “Confirm Your Booking” button that will take you right back to your quote whenever you’re ready to go ahead. Our availability is updated every 7 days. When you get a quote we’ll give you an estimate on the number of staff available at the time required and also let you know our current rate of bookings so if it is busy you can get booked up early and avoid disappointment. Please note. If your booking is less that 7 days away please call the team first to double check availability. When you’re ready to book you can pay by card through our secure payment system. If your event is more than 14 days away you’ll be given the option to pay a deposit or the full amount. Also if there are any offers that relate to your booking they will be displayed at the bottom before the payment button so you don’t miss out. Once payment has been made you’ll be sent a confirmation email and invoice and then a member of our team will contact you to get any additional details needed for your event.